MANILA, Philippines — The country's biodiversity is considered one of the richest in the world. But it is also among the most threatened. The Philippines is losing approximately 47,000 hectares of forest cover every year, according to the data provided by the Forest Management Bureau of the Department of Environment and Natural Resources. In 2003, the country’s forests comprised 7.2 million hectares. But in 2010, forest cover went down by 4.6 percent or about 6.8 million hectares. The country is down to less than 24 percent of the original forest cover in the 1900s. Open forest or all lands with tree cover of canopy density between 10 percent and 40 percent account for more than half (4.6 million hectares) of total forest cover. 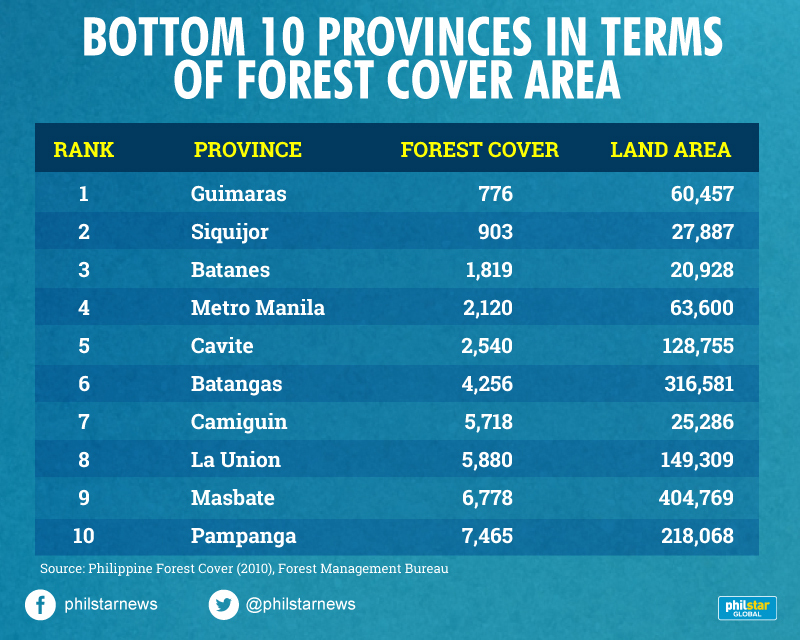 Closed forests, or those with tree canopy coverage of 60 to 100 percent, contributed 28.28 percent (1.9 million hectares) to the country's forest cover. 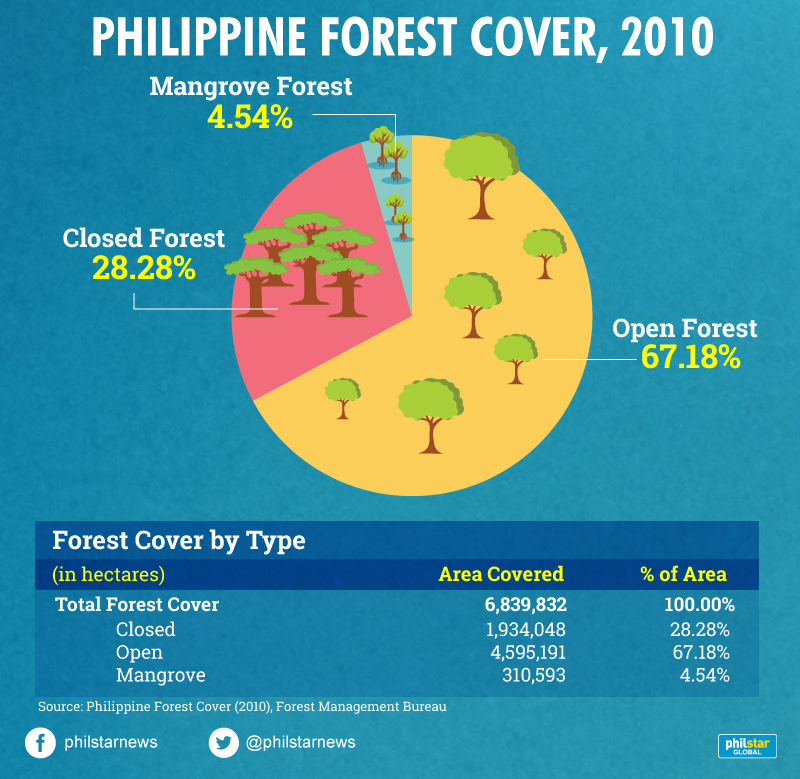 The remaining 4.5 percent or 310,593 hectares are mangrove forests. Palawan, the largest province in the Philippines in terms of land area, has the biggest forest cover in the country. Haribon Foundation forester Thaddeus Martinez said the country needs 54 percent of forest cover to protect against landslides and ensure water availability from watersheds. "That's why we are really experiencing these different calamities." "Definitely, we are far behind the threshold. The destruction of our forests is serious. So we really need to act immediately," Martinez told Philstar.com. Widespread logging is responsible for much of the forest loss in the country. Legal and illegal mining operations, agricultural fires, tourism facilities development and rural population expansion also pose threats to the once spectacular Philippine forests. Martinez said that forests are the first line of defense against natural calamities as they mitigate the impacts of climate change and risks of disasters, especially flash floods and landslides. "Compare a mountain with no trees or forests with a mountain with a lot of trees. Definitely, we're sure that there will be no soil erosion or if there is, there will be limited cases of soil erosion," he said. Around 1.2 million hectares of denuded and degraded forest lands of the country need to be rehabilitated by 2022, FMB said. On January 8, President Rodrigo Duterte ordered a halt to all logging activities in the Zamboanga Peninsula after he was briefed about massive forest denudation there. The president was also informed of the situation of indigenous people displaced by logging operations of some companies. Duterte said that widespread logging is responsible for the devastating mudslides and flash floods that Mindanao experienced in last December during the onslaught of back-to-back typhoons Urduja and Vinta. Haribon Foundation welcomed Duterte's order. "We support the halt of logging activities in areas in which biodiversity is threatened, most especially areas in which are designated as protected areas under the National Integrated Protected Areas of 1992, including all natural forests—forests of indigenous trees, not planted by people," Haribon told Philstar.com in an online exchange. 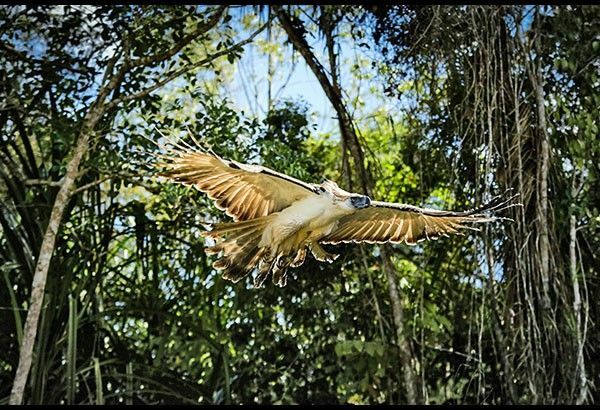 It noted that the Zamboanga Peninsula is home to Pasonanca National Park, which is home to threatened species such as the Mindanao Bleeding-Heart and the critically endangered Philippine Eagle. But the environmentalist organization also called on the government to pass the Forest Resources Bill, which seeks to ensure the continued and efficient use of Philippine forest resources for present and future generations. "The law must then be strictly enforced and permits that allow continued cutting of trees must be stopped. Support FRB so that we can have a sustainable way of managing our forests," Haribon said. 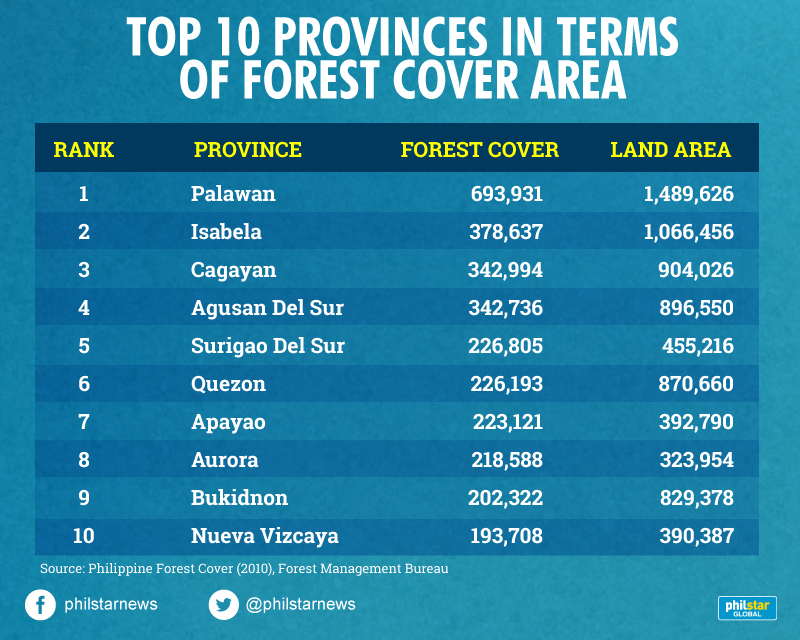 In 2015, a report of the United Nations' Food and Agriculture Organization noted that the Philippines ranked fifth among the 234 countries with the greatest reported gain in forest area annually. According to FAO's 2015 Global Forest Resources Assessment, the country increased its forest area to 240,000 hectares per year from 2010 to 2015. FMB attributed this achievement to the National Greening Program launched in 2011. The forest rehabilitation program aimed to plant 1.5 billion trees on 1.5 million hectares of forest lands nationwide from 2011 to 2016. As of December 2017, a total of 1.6 million hectares of forest lands have been rehabilitated under the NGP. The NGP—now called Enhanced National Greening Program—has been extended to 2028.